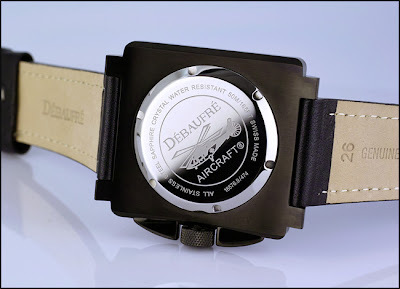 "This is the new black PVD stainless steel Aircraft-8 watch with Chronograph feature. 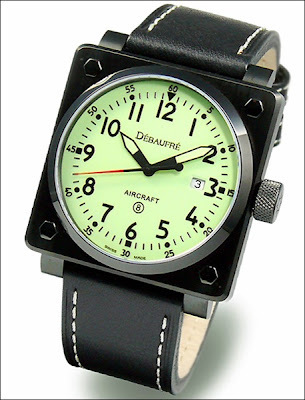 The case is 44-mm, 316L PVD black stainless steel. The amazing eye-catching 44-mm Chronograph design, with the captivating face, sub-dials and multiple hands, the large crown and the start / stop Chronograph pushers set the Aircraft-8 Chronograph apart from the commonness that plaques typical wristwatches. Also available in a stainless steel version. 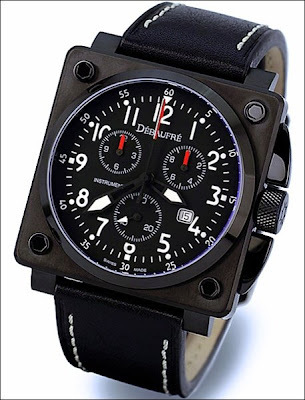 # Black 26-mm Leather Strap"